The American University of Iraq, Sulaimani (AUIS) is located in the Kurdistan Region of Iraq (KRI), and is Iraq’s only non-profit, independent, liberal arts-inspired institution of higher learning. The Institute of Regional and International Studies (IRIS) is the University’s research and policy center. Through multidisciplinary research projects, strategic partnerships, a fellowship program and open dialogue events among experts and influential public leaders, the University and its Institute examine the most complex issues facing the KRI, Iraq, and the Middle East, most notably during the annual Sulaimani Forum. The Institute’s main focus areas include but are not limited to: energy, governance, gender, IDP crisis, post-ISIS areas, water resource management, and archaeology. AUIS and IRIS partner with scholars and institutions on research projects, conferences, and exchanges. Through our fellowship program, AUIS and IRIS can offer scholars a safe and dynamic place to be based while conducting research and fieldwork on the Kurdistan Region, Iraq, or neighboring states. Please find the fellowship information and application here. If you have further questions and are interested in applying, please email us at iris@auis.edu.krd. You can find a list of past and current fellows here. AUIS and IRIS are also interested in collaborating with universities, institutes, and organizations on student and faculty exchanges, to implement research projects or hold conferences and roundtables on academic subjects or current events. Our location and student body and staff allow a great deal of access to a variety of places and institutions around the KRI and Iraq. AUIS faculty, IRIS staff, and fellows regularly conduct research and publish on topics related to Iraqi studies, especially with regard to digital archiving initiatives and archaeological excavation, gender studies, religion, and energy policy. Professor Edith Szanto has published extensively on Twelver Shi’i rituals, and conducts research on Sufism in the KRI. Professor Choman Hardi is an expert on gender studies, and publishes on gender, genocide, migration, and the women’s movement in the KRI. Her book, Gendered Experiences of Genocide: Anfal Survivors in Kurdistan-Iraq, was chosen by the Yankee Book Peddler as a UK Core Title. Professor Tobin Hartnell is an archaeologist and is working on a variety of projects in the KRI. His most recent work on the Sasanian Empire (224 – 651 CE) is published in the Journal of Ancient History. Professor Elizabeth Campbell is a historian and her research focuses on religion in Iraq and Christian-Muslim relations. She is currently working on a project with UCLA to digitize local manuscripts and documents. IRIS Director Christine van den Toorn has conducted research on local politics all over the KRI as well as disputed territories. Her current focus is on post-ISIS territories. She publishes frequently in Iraq Oil Report, Niqash, Inside Iraqi Politics, and Daily Beast. The recently launched IRIS Iraq Report (IIR) offers on-the-ground reporting and analysis on Iraq’s most pressing issues and aims to provide decision-makers and experts with solid research and analysis of Iraq policy. The Report is unique because it is produced in Iraq, and is based on in-country fieldwork as well as open source research. The first IIR, titled “Challenges and Opportunities in post-ISIS Territories: The Case of Rabia,” can be found here. AUIS opened its doors in 2007 with several dozen students and now has over 1,400. Most faculty at AUIS hail from the United States, but also from countries around the world. Classes are all in English, and students must graduate from the rigorous year-long Academic Preparatory Program (APP) before entering the undergraduate program. AUIS offers majors in International Studies, Business Administration, English and Journalism, Information Technology, and Engineering. Inside the classroom, professors use lecture and discussion-based pedagogy rather than the traditional rote memorization used in Iraq and other regional states. AUIS also offers students the opportunity to engage in a variety of extracurricular activities similar to that in the U.S.: Debate Society, Model UN, sports teams, Shakespeare Club, and community service projects. The student body hails from all over the Kurdistan Region and Iraq. The majority is from Sulaimani, the University’s host city, but there are large representations from Erbil and smaller towns like Ranya and Halabja. In addition, 18% of the student body is from “Iraq proper,” mainly from the capital, Baghdad, but with representations from Najaf, Kerbala, Basra, Anbar, Diyala, and Ninewa. For more information please visit the AUIS website and IRIS website. The American Schools of Oriental Research (ASOR) is a non-profit 501(c)3 organization that supports and encourages the study of the cultures and history of the Near East, from the earliest times to the present. Founded in 1900 by twenty-one institutions, ASOR now has three affiliated overseas research centers, more than 90 consortium institutions, including universities, seminaries, museums, foundations, and libraries, as well as more than 1,550 individual members. ASOR fosters original research, archaeological excavations and explorations; encourages scholarship in the Near East’s basic languages, cultural histories and traditions; builds support for Near Eastern studies; and advocates high academic standards. ASOR also offers educational opportunities in Near Eastern history and archaeology to students from all over the world, and through outreach activities to the public. ASOR communicates news of the latest research findings through its journals, books, lectures, and annual meeting. It awards dozens of fellowships for fieldwork in the eastern Mediterranean annually. Within ASOR, two primary vehicles for support of the study of Iraq are the Annual Meeting session on the Archaeology of Mesopotamia and the standing Committee on Mesopotamian Civilization. ASOR also hosts a web page dedicated to archaeological research in Iraq, the Iraq information page. The Committee on Mesopotamian Civilization (commonly referred to as the Baghdad Committee) is dedicated to promoting through research, excavation, and publication, the dissemination of knowledge of Mesopotamian civilization. The committee serves as the functional arm of ASOR’s overseas school in Baghdad, Iraq, which was founded in 1923 through a 1922 bequest (the Nies bequest) to ASOR for excavations and the publication of their results. In 1947, ASOR’s Baghdad School began publication of the Journal of Cuneiform Studies (JCS). The School also sponsored one or more annual professors and fellows until the late 1960s, when residency in Iraq became difficult. The School (with a director) was changed to a Committee (with a chair) in 1970 when the Iraqi government decided to close all foreign schools. Since 1970, the Committee has overseen the Mesopotamian Fellowship. For more information, read a history of ASOR’s Baghdad School that operated in Iraq from 1923–1969. The University of Washington has offered Middle East language and area courses for more than 100 years. With over sixty faculty members conducting research and teaching on the Middle East, the institution has broad and deep coverage of Middle East languages and area studies. In addition to the modern languages of the Middle East, the University offers courses in ancient Middle East languages including Akkadian and Aramaic. Middle East coursework ranges across the departments of Anthropology, Art History, Communications, Comparative Religion, Economics, English, Ethnomusicology, Geography, Global Health, History, Information, International Studies, Jewish Studies, Law, Linguistics, Music, Near East Languages and Civilization, Oceanography, Political Science, Sociology, Social Work, and Women Studies. The University of Washington offers area-specific Middle East degree programs as follows: (1) BA and MA degrees in the Department of Near Eastern Languages and Civilization; (2) undergraduate minor and MA degree in the Henry M. Jackson School of International Studies; (3) Ph.D. degree in the Interdisciplinary Near and Middle East Program; and (4) Middle East-focused BA, MA, and Ph.D. degrees in disciplinary departments. Arbella Bet-Shlimon, Assistant Professor, Department of History, a specialist in the history of twentieth-century Iraq. She currently has a book in progress on city of Kirkuk since World War I. Recent graduate student research on Iraq has included work on such diverse topics as: state responses to Iraqi refugees; Muqtada al Sadr and the competition for power in Iraq; Turkish foreign policy and the Iraq war; social networks in nineteenth-century Iraq; and disease and medicine in Iraq. The University of Chicago has had a commitment to research and teaching in the Near East since its founding in 1892. Its first president was a Biblical scholar, and among its early faculty hires were F. R. Harper, an Assyriologist and James Henry Breasted, an Egyptologist. The university’s first excavations were at Bismaya (ancient Adab) in Iraq in 1904–05. The founding of the Oriental Institute by Breasted in 1919 marked a great increase in the exploration and elucidation of the ancient fields, and the Institute still maintains numerous archaeological, surface survey, and epigraphic investigations, as well as dictionary-writing, philology, history, remote sensing, and other long-term projects at home. Most of the faculty at the Oriental Institute teach in the Department of Near Eastern Languages and Civilizations, which also encompasses the Medieval and Modern Near East, with major interest in Iraq. Students can obtain B.A., M.A., and Ph.D. degrees. The Center for Middle Eastern Studies offers an M.A. in Medieval and Modern studies, and has recently taken on the administration of a 2-year M.A. program for the ancient fields. 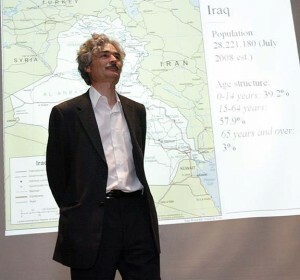 The University of Arkansas is home to the King Fahd Center for Middle East Studies (http://uark.edu/rd_arsc/mest/4749.php), bringing together faculty and students from many different disciplines to explore the history, culture and politics of the Middle East. Through its endowment, the Center is able to fund faculty research, undergraduate and graduate training, as well as lectures, colloquia, symposiums, and translation projects. In part through support of the Center, the University of Arkansas maintains active research and educational programs in the archaeology of Iraq and greater Mesopotamia. Dr. Jesse Casana (Associate Professor, Dept. of Anthropology) is currently the co-director of an archaeological field project in the Kurdistan Region of Iraq, the Upper Sirwan/Diyala Regional Project. In October 2012, he and colleagues Claudia Glatz (University of Glasgow) and Tevfik Emre Şerifoğlu (Bitlis Eren University) undertook a short reconnaissance of the region and signed a five-year agreement with antiquities officials to conduct archaeological survey and other investigations in a study area extending from Kalar to Darbandikhan. A second season in planned for May 2013, and several University of Arkansas students will participate. The University of Arkansas’ Center for Advanced Spatial Technologies (http://www.cast.uark.edu/), a global leader in geospatial research with a longstanding commitment to application of these technologies in archaeology, has also recently agreed to collaborate with the Iraqi Institute for the Conservation of Antiquities and Heritage (IICAH) to provide training to Iraqi cultural heritage officials and students. Recent Arkansas graduate, Dr. Tuna Kalayci, will offer a two-week course on archaeological GIS at the IICAH in May 2013, and future course offerings are currently being planned. In addition to its work in archaeology and cultural heritage, several University of Arkansas Ph.D. students in history are investigating topics pertaining to modern Iraq. The Middle East Studies Center at Portland State University promotes understanding of the people, cultures, languages and religions of the Middle East. The Center started in 1959 as the first federally supported undergraduate program for Arabic language and Middle East area studies in the nation and is now designated as a National Resource Center for Middle East Studies under the U.S. Department of Education’s Title VI program. The Center’s distinguished faculty includes Assistant Professor of Arabic Language and Literature, Yasmeen Hanoosh, whose work is unified by the theme of Iraqi modernity. 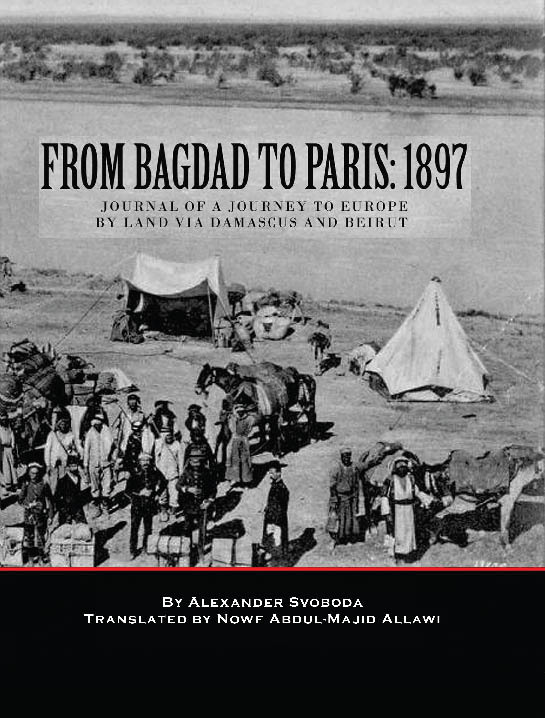 Hanoosh’s current book project engages Iraqi literary history and underscores the significance of the literary history and political and intellectual interplay between cosmopolitan centers such as Baghdad and Basra and the marginalized production of non-official culture in the provincial peripheries. As Hanoosh fosters her own analysis of Iraqi literature and culture, she also promotes awareness of Iraq and its literary output internationally through translation. In addition to publishing stories periodically in prestigious and widely read literary journals, she has made a personal commitment to translate and disseminate significant works of contemporary Iraqi fiction; of these are Luay Hamza Abbas’ collection of short stories, Closing His Eyes, and Murtedha Gzar’s Al-Sayyid Asghar Akbar. While cultivating her passion for literature through scholarship and translation, Hanoosh also bears in mind the harsh realities of post-invasion Iraq through ethnographic work with U.S.-based Iraqi refugee and immigrant communities, by organizing relevant public and scholarly events, and by fostering constructive liaisons between her students and the local Iraqi refugee community. More information about the Middle East Studies Center is available at http://www.pdx.edu/middle-east-studies/.